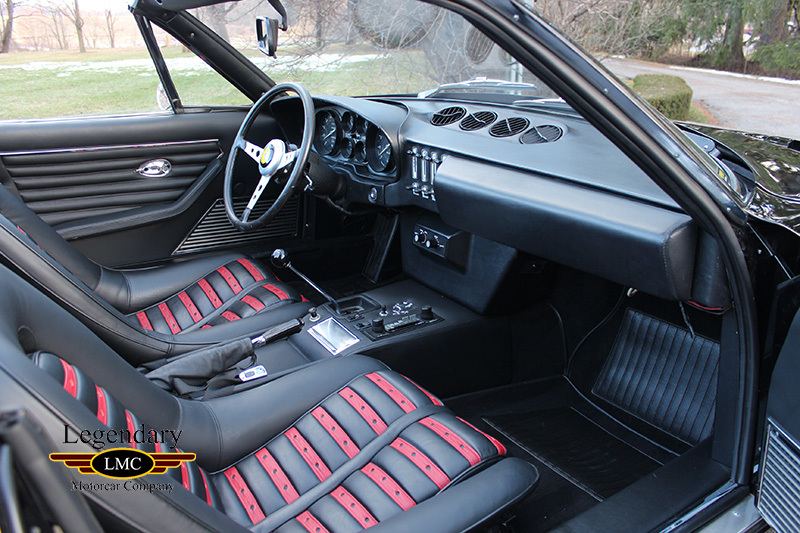 Click any thumbnail below to display the 1972 Ferrari Daytona slide show. 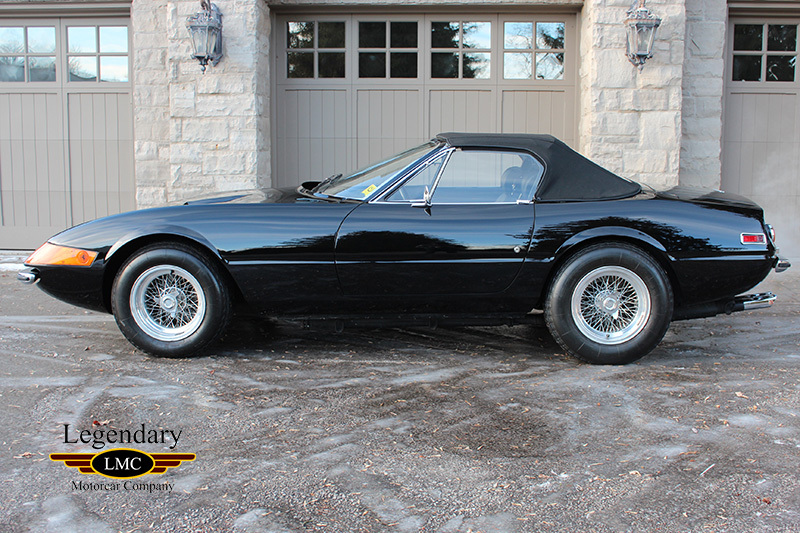 LMC is very proud to offer for sale this 1972 Ferrari 365 GTB/4 Berlinetta Scaglietti. 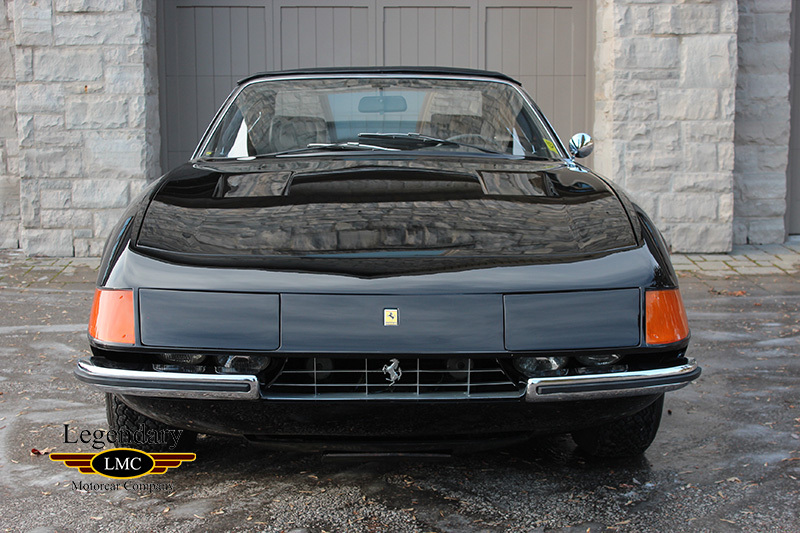 Ferrari 365 GTB/4 acquired its unofficial “Daytona” moniker after Maranello swept the top three places in the 1967 endurance race of the same name. 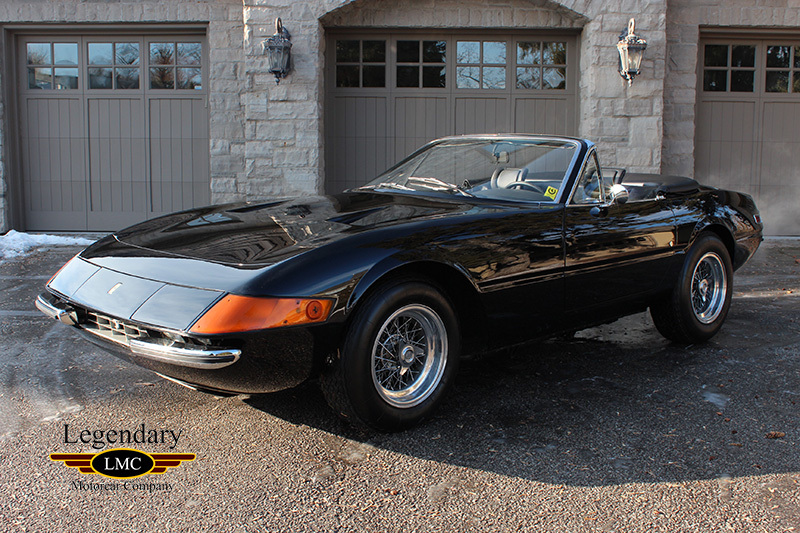 Enzo Ferrari was reportedly quite annoyed when the Daytona nomenclature subsequently leaked to the press during testing, and it was never officially applied to the model. 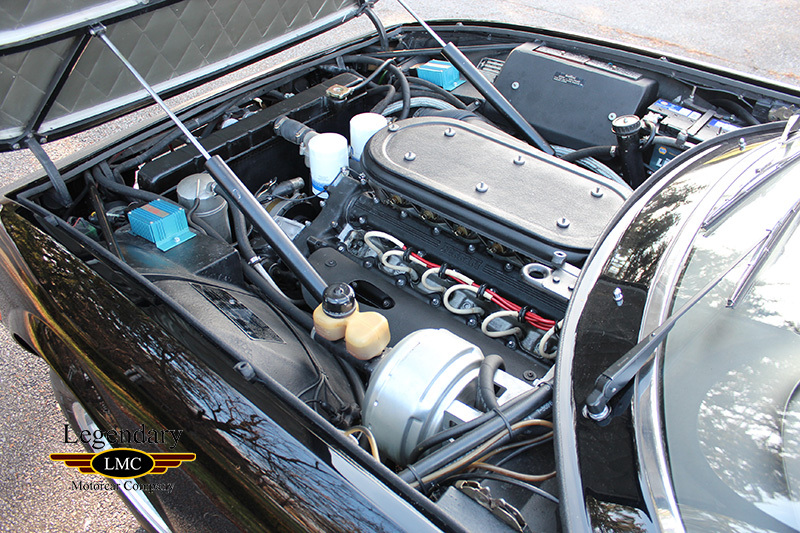 While much of the Daytona’s sleek, dart-shaped Scaglietti bodywork was steel, its low weight was typically maintained using aluminum for the doors, hood, and trunk lid. 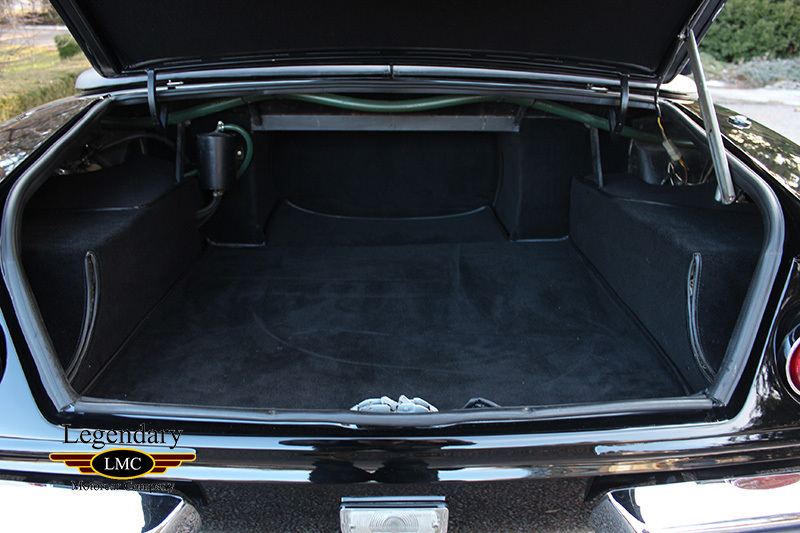 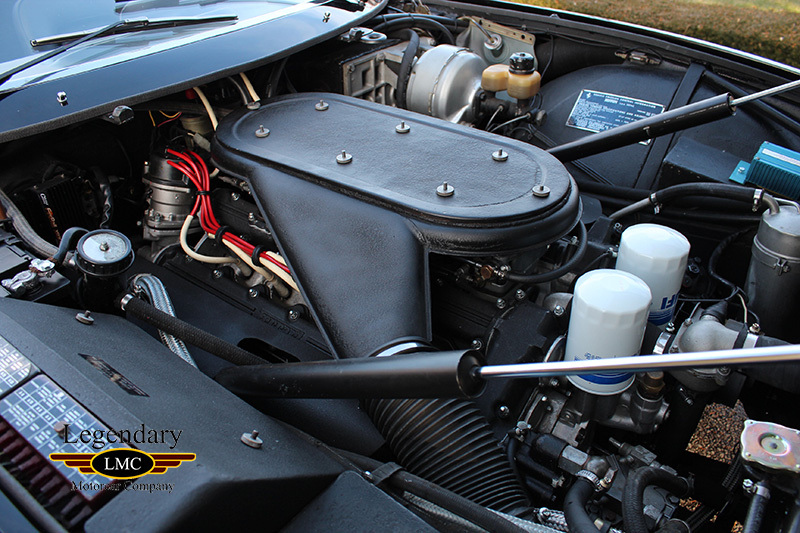 Under the hood was a four-cam, 4.4-liter Colombo V-12, developing an impressive and unprecedented 352 horsepower. 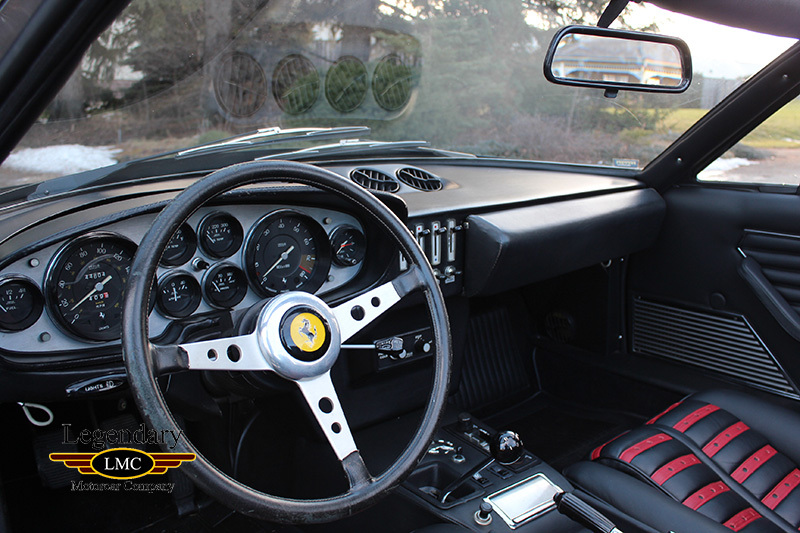 With a top speed of 174 mph, the 365 GTB/4 Daytona was Ferrari’s fastest road-going automobile to date, and it was one of the fastest automobiles in the world during the early 1970s. 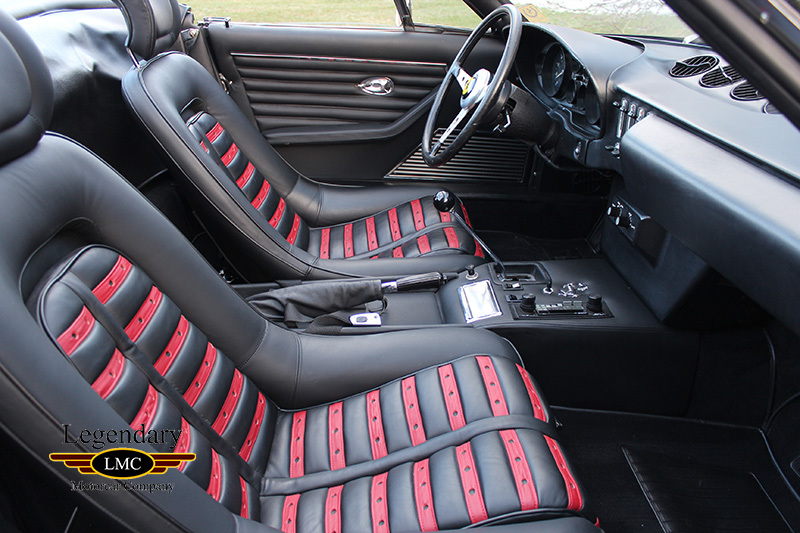 The Daytona had several starring roles in Hollywood movies and TV, two of the most popular being the 1976 film, Gumball Rally, and more so, the major hit 80s TV cop drama, Miami Vice. 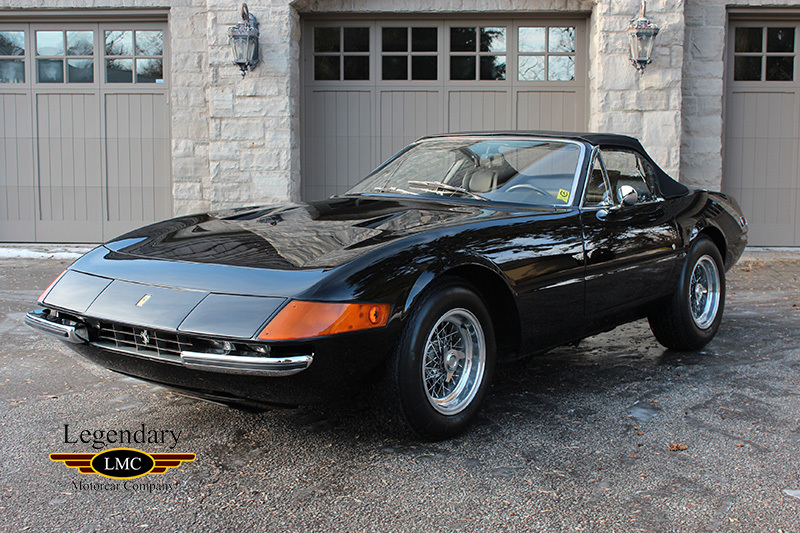 This Ferrari Daytona was completed on December, 28th, 1971 and was delivered to Luigi Chinetti Motors in Greenwich, Connecticut in January of 1972. 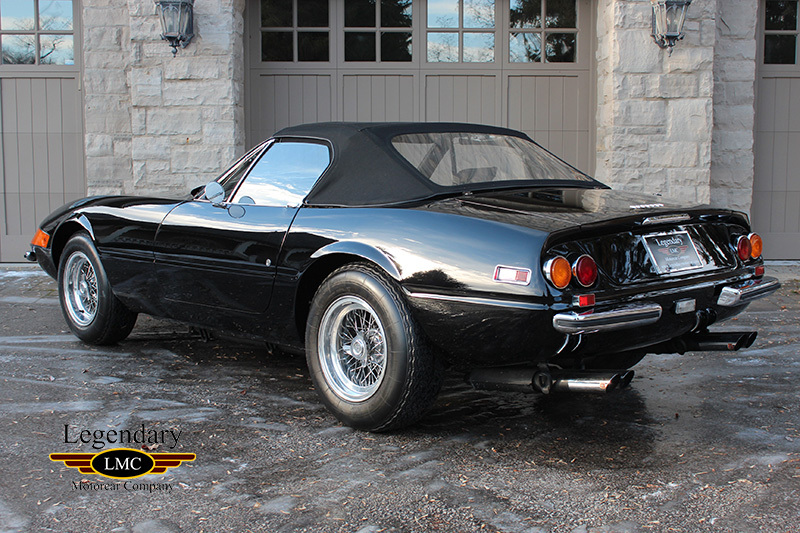 It would live in Phoenix, Arizona, until 1977, when it was professionally converted into a Spyder by Richard Straman and Co. in Costa Mesa, California. 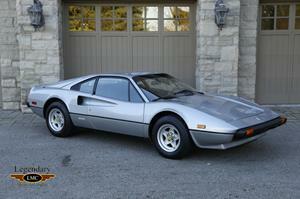 It would then move to Chicago, Illinois briefly before being moved down South to Georgia in 1979. 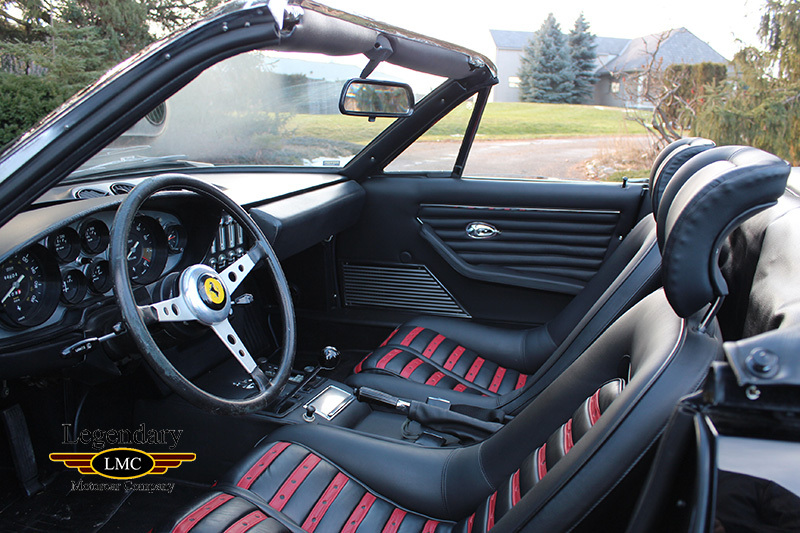 After living in Florida next, it would then head west to Beverly Hills and San Carlos, California for a couple years. 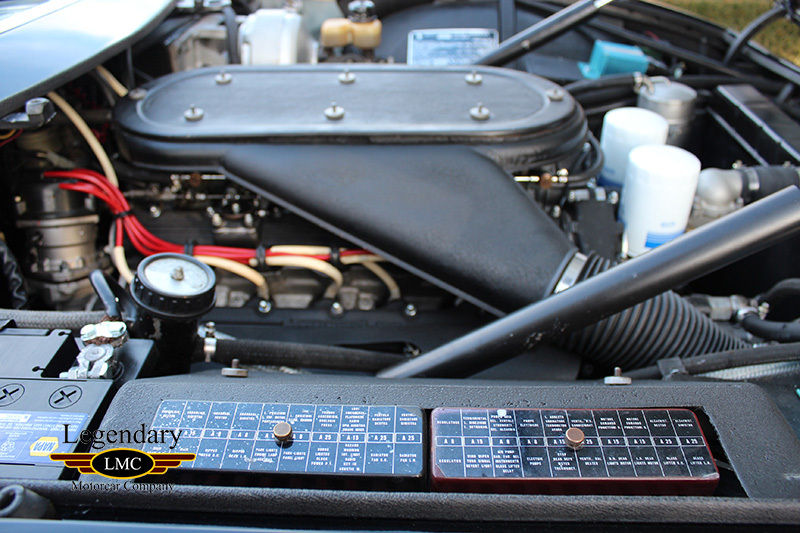 In 1988 it made its way back to the east coast in South Carolina where it would reside with a very well respected Ferrari collector. 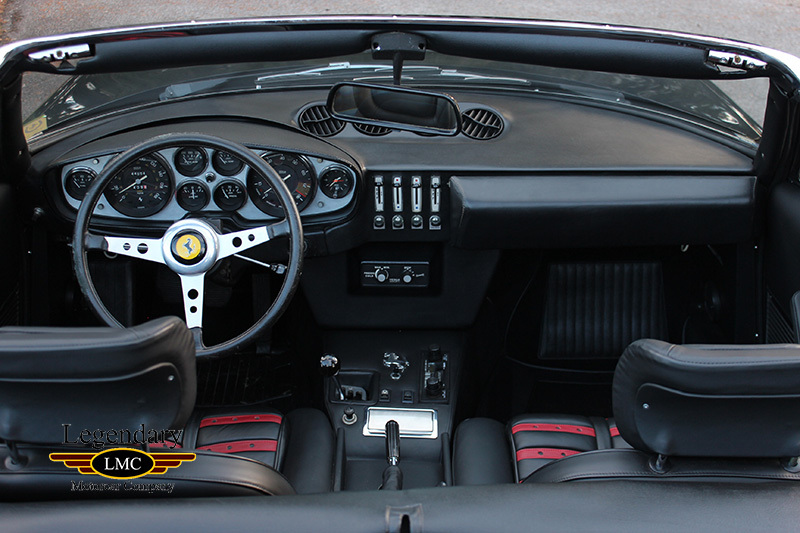 Its Nero exterior paint shines like new and gives the Ferrari a slick and an absolutely stunning appearance while the black interior is in equally wonderful condition. 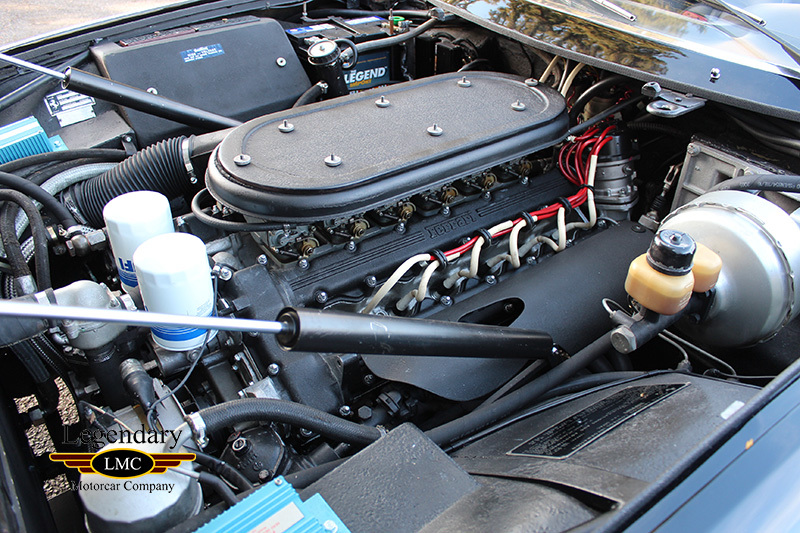 The completely rebuilt V12 sounds heavenly and screams classic Ferrari when you start it up. 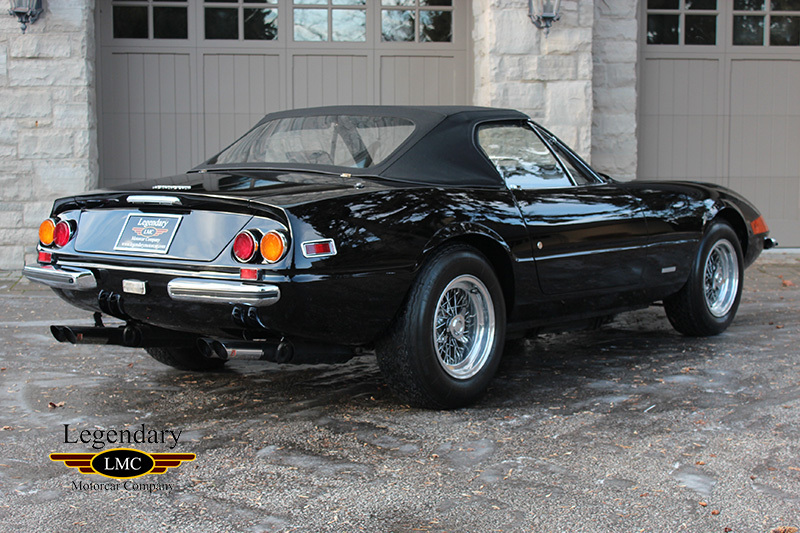 Complete with factory air conditioning and beautiful Borrani wheels with Michelin XWX tires. 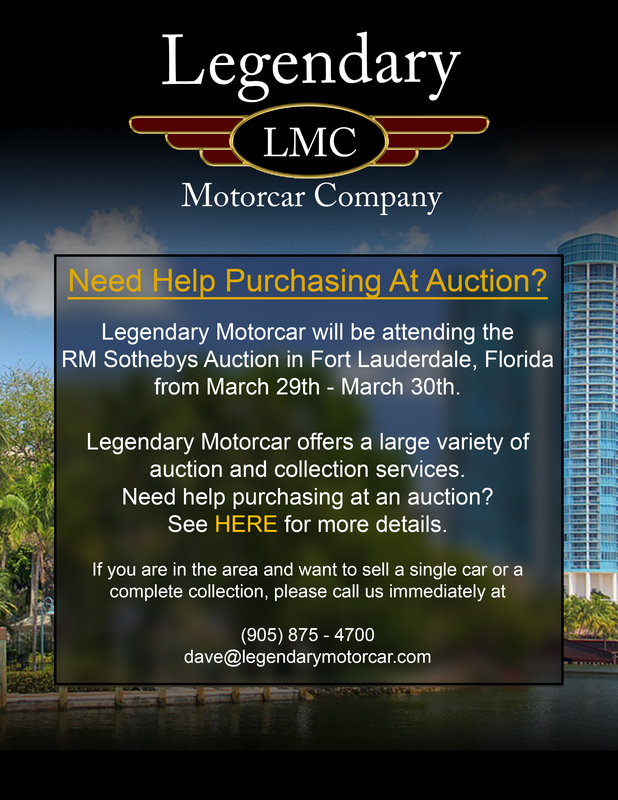 A surplus of documentation accompanies this Daytona including; a complete Marcel Massini Report, years of parts and service invoices, a folder full of 1997 and 1998 documents and pictures, old canceled checks, old bills of sale and several old titles. 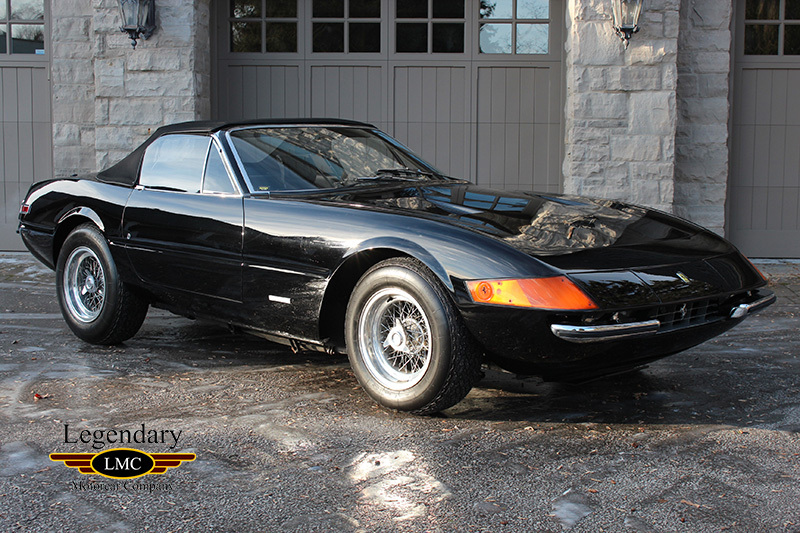 The Ferrari Daytona is one of the most desired and coveted road-going Ferrari’s to date, and when it comes to the Spyder, one of the rarest. 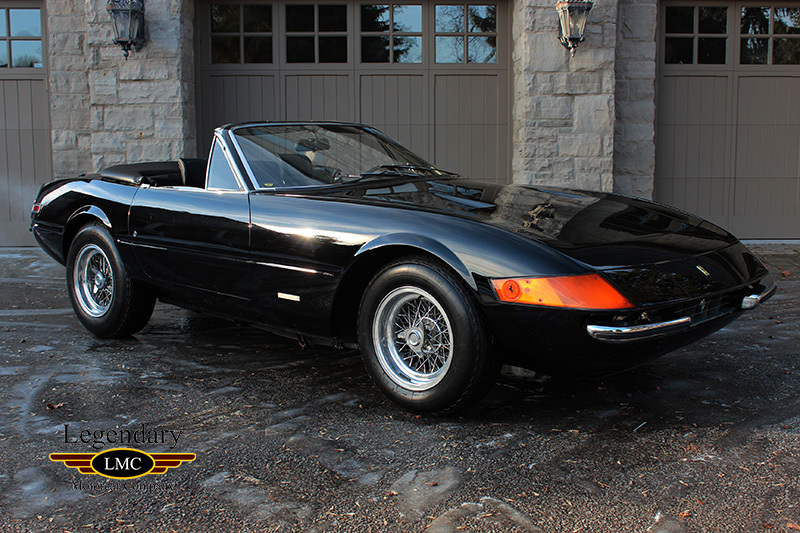 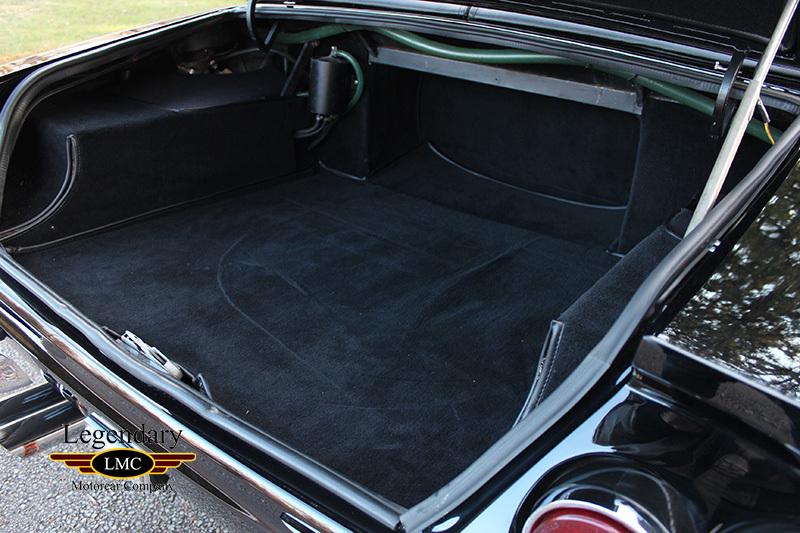 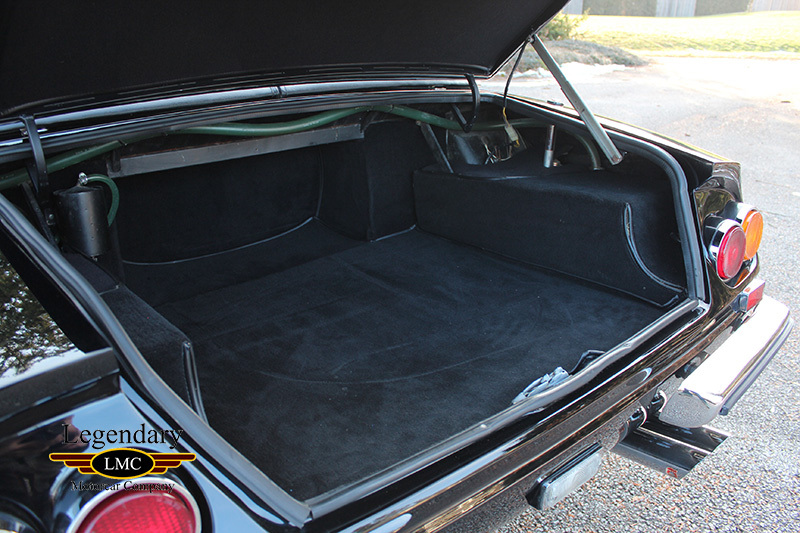 With its professionally done Spyder conversion done in the 70’s, this Daytona brings the glamor and open air driving. 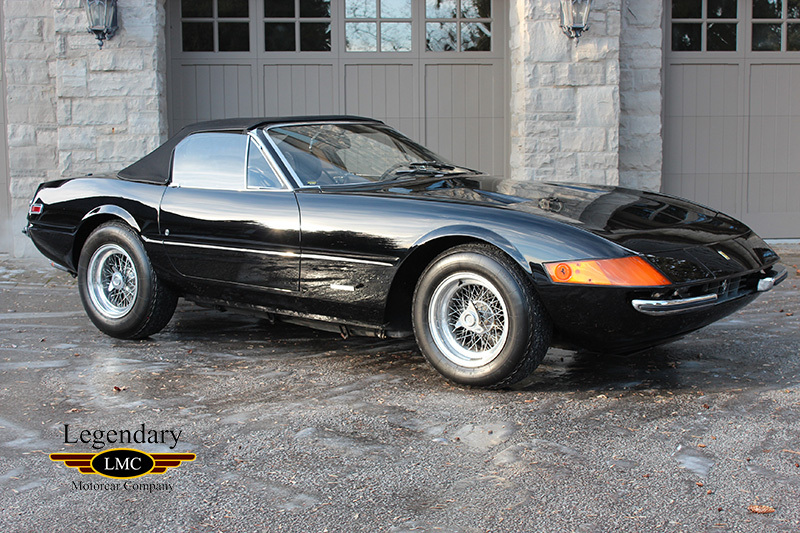 Its showroom worthy condition is stunning and the history is just as impressive. 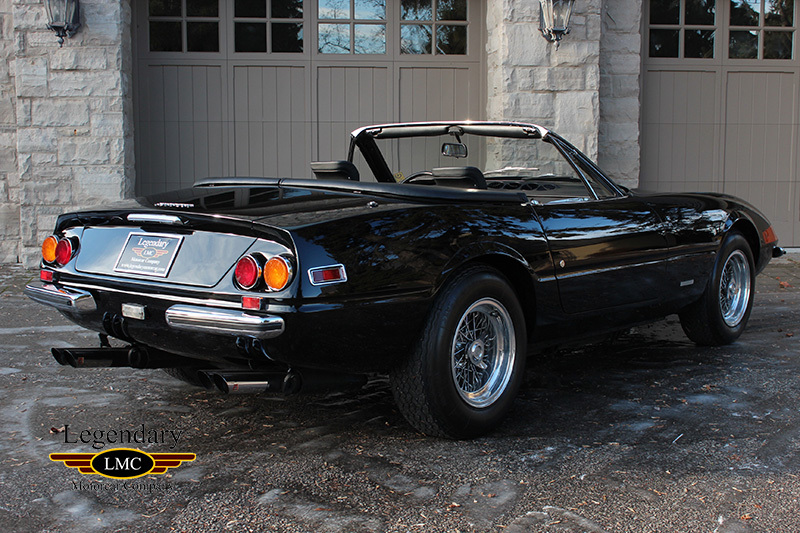 Dawning the same color, year, and style as Crockett’s Daytona in Miami Vice, this car is instantly recognizable and would be a showpiece of any collection. 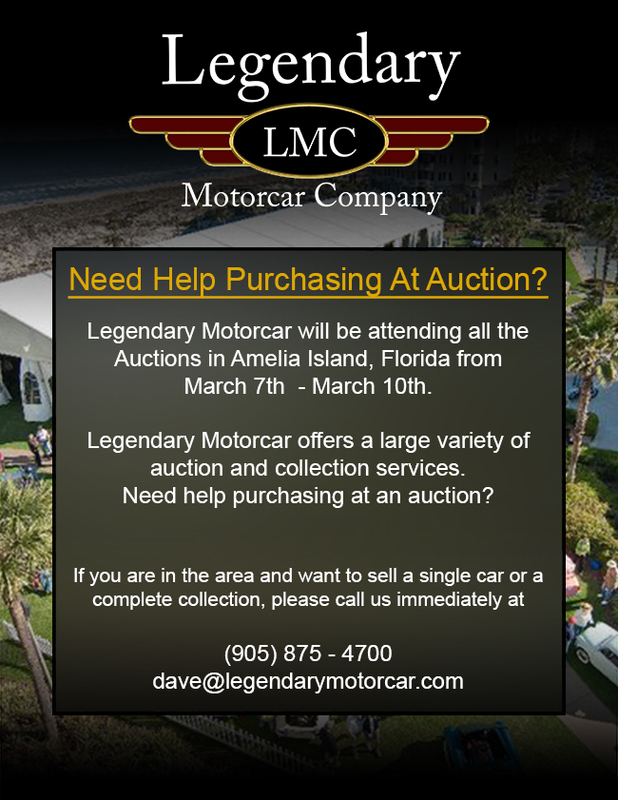 Legendary-Motorcar-Company-Ltd-2017-007 Ferrari 1972 Ferrari Daytona 2017-007 0 Legendary Motorcar Company Ltd.